Where Mom Lives – How Can I Make Her? Recently, I was in my car listening to a local radio call-in show with an attorney as the guest expert. He is a general practice attorney – meaning he has no specific specialty and most certainly, he was not one who specializes in elder issues. The attorney immediately began to explain the complicated process of seeking guardianship for her mother. Rightfully, he explained how time consuming this could be, that she and her sister would need an attorney and that the court will appoint an attorney for her mother as well. Of course, he suggested the woman call his office later that day. I found myself shrieking at the radio! There are so many other options before suggesting this route – which is the most complicated and often emotionally painful. I knew it would not do any good to call in myself, I am certain the attorney pays a fee to have that half hour all to himself. I doubted they would allow me to add to his answer. I also didn’t have time to pull over, to make the call safely. Therefore, I decided to write this post! The caller may never see it but some of you may find it helpful and share with others. While the attorney is correct that seeking guardianship could be a way to take control of her mother’s living situation, this should be the very last resort as it can be expensive and unpleasant. Let’s take a look at this scenario and talk about all the options and strategies. First, the attorney should have asked several questions before he moved directly to the guardianship plan. The caller did not explain what she meant by saying that her mother could no longer care for herself. What kind of care needs does she have? Does the mother need assistance dressing herself, toileting, assistance getting in to and out of the bathtub? Is there a walk in shower in the daughter’s home? Are there grab bars? What kinds of medications does her mother need? Does she has memory loss and if so, how extensive? Does she forget details of conversations or names or does she forget where the bathroom is located and who her daughter is? Does she use a walker or wheelchair? Does she use any portable medical equipment such as oxygen? The next question I would ask would be about the daughter’s statement that caring for her mother is becoming hard for her. Why is it becoming a problem? What does this mean? Is her mother too heavy for her to lift in to the bath and back out? Does the home have too many stairs? Or is the daughter simply missing her independence and flexibility having to stay at home with her mother? These are all pertinent questions. If the problem is the lifting or the lack of flexibility has the daughter considered hiring an in home care worker. If the family can afford the cost of assisted living, they should also be able to hire an in-home worker to help with the bathing tasks or staying with the mother while the daughter goes out. When families complain that their loved one doesn’t sleep at night and keeps them from sleeping as well, they often seem surprised when I suggest hiring an in home caregiver to be up and awake with their loved on at night. This way the family caregiver can get a good night’s sleep. Yes, it means you will have someone else coming in to your household, but it can also make the family caregiving burden a bit lighter. Is the situation more complicated? We don’t know if the daughter is married. Perhaps her husband is no longer accepting of having the mother stay with them. Of course, if part of the problem is the actual design of the home itself – too many stairs, no walk in shower, certainly the solution won’t be a quick fix. A very important question concerns powers of attorney. Has the mother designated a power of attorney? Is someone both the power of attorney for healthcare as well as financial decisions? I recommend everyone have a designated power of attorney, as well as a living will in the event you should become incapacitated and cannot make your own decisions. Remember, powers of attorney do not go in to affect until you are deemed incapacitated by a medical professional. Thus, in this particular case, if a physician deems that the mother is not capable of making responsible decisions, the physician would then sign a capacity statement that states such. Only then would the power of attorney be activated. Most physicians take this very seriously and give such a decision great consideration. With my own mother, her physician met with her several times and spent quite a bit of time talking with her and questioning her before he decided that she truly did not have the capacity to understand and make important decisions. Now let’s call out the elephant in the room. Please bear with me as me as we talk this through. The caller said the mother is 86 and can no longer care for herself. Yet the mother “won’t go” to the assisted living. I don’t like the daughter’s phrase “How can I make her?” Few of us like to force or be forced. However, let’s give the daughter the benefit of the doubt for a moment. If the mother cannot care for herself and there are legitimate reasons why the daughters cannot care for her in their homes, what is her choice? Caregiving takes a toll. Not only is it physically exhausting, it can be emotionally exhausting as well. Numerous studies show statistics that indicate as much. In a study done in partnership with AARP and the National Alliance for Caregiving, 11% of family caregivers indicate caregiving has caused their own health to deteriorate. A National Family Caregiving Alliance report published in 2012 states that anywhere from 40 to 70% of family caregivers are clinically depressed. I can go and on. My point here is we tend to focus on the person needing care rather than on the caregiver. The health and well-being of the caregiver is often overlooked. As with any relationship, and in any disagreement, both parties should be considered. I do not mean to sound cruel, but sometimes there are no perfect answers. If the daughter can no longer keep mother in her home, this may be the next best choice. No, Mother may not want to go. Often families simply stop here. Maybe a more forceful conversation or action should occur. Many older adults become very resistant to change. The thoughts of any kind of change in routine or living arrangements can be difficult for them to accept. This is particularly challenging if the person has a dementia. However, sometimes it is simply unavoidable. What if the daughters had a very frank discussion with their mother, and urged her to simply visit or do a short-term stay at an assisted living? Maybe Mom is not aware of the toll her care is taking on her daughter. Understand that I am not comparing an 86 year old to a toddler, (Although frankly, sometimes the behavior is similar! ), but often children do not want to go to school or to the church nursery in the beginning. They may cry and put up a fuss the first few times. My own three-year-old granddaughter says she loves preschool. Upon pick up she always says that she enjoyed it. Yet, she was crying almost every time her mother dropped her off. Not only did the teachers assure my daughter that the child stopped crying shortly after arriving, but she goes on to have a good experience. In addition, my daughter watches through a one-way window to the classroom and can see that she does stop crying quickly and joins the children in activities. Lately she is crying less and less often. It is a great relief to all of us. Often, in the beginning the older adult complains and is unhappy in a new living situation. But after a time, the person becomes more settled. There are some caveats to the short-term stay, but often, if the stay is strategically planned, the individual adapts. Many of today’s assisted living communities are quite lovely and offer wonderful amenities. Many allow pets. Mother may have a preconceived notion of what an assisted living may be like and this could change upon visiting. Many of them also provide the opportunity for a short-term stay, often called a “respite stay”. This refers to allowing the caregiver to have a time of respite from caregiving duties. This may even be a potential solution for this daughter. Maybe she really just needs a break. If a short term stay to determine if your loved one can adapt is used, careful planning is necessary. I have seen families plop Mom or Dad down for a short-term stay at an assisted living “just to see if it works” without taking any of the individual’s personal effects. The thinking is “why bother if it doesn’t work out?” Well, you should “bother” to help ensure it does work out! I am not suggesting you initially bring all of the person’s possessions but some familiar items are crucial to a successful stay. If possible, choose a time when some particular activity will occur that your loved one may enjoy such as a concert or outing. One situation of which I was aware involved the son taking his mom to a local assisted living for a short stay just to see if it might work. Her room was basic, with no artwork on the walls, unfamiliar furniture and bedding. The son brought only some clothing. There was no familiar blanket or bedspread, nor any familiar family photos. While this woman was used to calling her friends and children daily, there was no phone in her room. The family felt it was not worth the trouble in case it didn’t work out. She had a cat at home that she dearly loved. Of course, the cat (assisted living rules would have allowed her to bring her cat) did not come with her. I was not surprised that after one week, the poor woman was miserable, uncooperative and the son said, “This just isn’t going to work”. The challenges of caring for aging loved ones are many. There are situations where seeking legal guardianship is necessary, but even legal experts say it can be time consuming and costly. It can be humiliating for the older adult who may be somewhat capable. In addition, it can cause irreparable emotional damage to a family. I believe all other avenues should be pursued first. This entry was posted in caregiving, dementia, life challenges, parents, planning for the future, sandwichcaring, Uncategorized and tagged aging, aging parents, baby boomers, caregiving on April 15, 2018 by janestory. I am having a lovely holiday season thus far. The first one that I am truly savoring in a long time. But I am writing today about some who are not singing such a happy tune. At this time of year, it seems the whole world is merry and bright. Or at least that is what we often assume. One particular television channel has continuous holiday programming this time of year. We can count on the fact that while there may be some sadness or tears within the movie, the ending is always a happy one. The themes revolve around finding the Christmas joy, gathering with family, and celebrating the season. And did you notice there is nearly always continuous snow, but everyone still gets out and about? They seem to have blue skies and sunshine along with all the snow. Few become snowed in and the power rarely goes out. And if it does, there are always plenty of candles and blankets at hand. If someone gets stranded, it’s in a lovely small town, with a beautiful inn that just happens to have vacancies with a warm and loving innkeeper that makes them feel right at home! However, I recall those not too distant years when I was not really feeling the holiday spirit. Many caregivers simply view this time as one full of more “shoulds” to add to their already heavy list of tasks. With their overloaded schedule, added expectations of decorating, gift buying, baking and finding joy are almost too much to bear. The holiday chaos that energizes some, comes close to pushing others over the edge. In addition, some caregivers have recently lost their loved ones, and this time of year is a reminder of that empty chair, the lost voice, the warm hugs that are no longer there. Caregivers, I understand. You are not alone. There are thousands out there who feel just as lost and tired as you. I have been there. I experienced many holidays feeling overwhelmed with all the usual holiday tasks, plus trying to do my best at the office, be a good wife and mom, as well as working hard to create some holiday spirit and joy for my mother for whom I cared. As I look back, those holidays are a bit of a blur. So, I give you permission to skip the decorations, forget the tree, and heck, it’s OK with me if you need to say “Bah Humbug” this year. Don’t go shopping, or bake cookies, just try to find time for a nap. Last year, I spent the holidays struggling to find my way in the new world of NOT being an active caregiver, while grieving the recent loss of my mother. I felt a sense of relief that my burden was lessened and I had more time to carry out my holiday tasks, but I also felt guilty about that. In some ways, I was relieved. I was relieved that her suffering was over. I was relieved to no longer watch her slow decline and her frustration with such. I was relieved to be able to travel to be with my grandchildren without worrying about her care – who was with her? Were they following my instructions? Would she fall while I was away? My worrying had been on overload for many years and it was quite strange to experience this new normal. But I also missed her as we carried out family holiday traditions of which she had been such an integral part. Not only did I still feel the numbness that comes after losing a loved one, my heart was very sad that she was not with us. It has taken a while for me to clear my head. It has been nearly a year since I last wrote a blog post. I just couldn’t do it. I needed time to heal and to find my bearings. The sermon was about Mary. Mary was going through a challenging time. She had been broad sided with some shocking news that would change her life in unfathomable ways. And let’s remember she was just a young girl. Not only did she have to process this new situation, she was going to have to explain it to her parents and to her fiance. Would they believe her? Would her fiance, Joseph, leave her? What about the community – would she be shunned, ostracized, or worse? Imagine the gossip! But apparently her family listened to her, Joseph listened to her, ( yes, with a little insight from an Angel) and so did her cousin Elizabeth. They listened to her story, they accepted what she had to tell them and they didn’t simply assume she had done something wrong. Well, maybe they did for a minute… but after listening, they began to understand. This is a gift we could offer an exhausted, joyless caregiver – the gift of listening, and not assuming. In many years of working with caregivers one of the things I learned is that sometimes all a caregiver really needs is to be able to talk about the situation. Caregivers spend a lot of time worrying about the emotions of the person for whom they are caring but often keep their own emotions locked inside. They are dealing with an exhausting task and we know that sometimes even those we love immensely can get on our very last nerve! Offer a caregiver the gift of allowing them to vent! I urge you to do what is called ” active listening”. This means you not only hear the words they say, but you seek to understand the meaning behind the words. And you make sure you understand before you offer advice. Maybe you do have some helpful advice to give, but first allow the person time to express their feelings, worries and their frustrations. Take time to try to understand their perspective and give them the gift of a time of “release” of those emotions and frustrations. For those who are grieving or who have recently transitioned to no longer being a caregiver, some will take longer than others to transition from being an on duty, always-on-high-alert caregiver, to their new normal. We should not assume they are over it and ready to enjoy their new-found freedom. For a while, it may be challenging to find a new purpose. Some may be struggling with guilt for feeling relieved, as I did, or feeling they did not do enough, or that they should have done something differently. I recently had a new thought on guilt. I think that in some ways guilt is an “active” emotion. We can actively explore what we might have done wrong, what we could have or should have done differently. It gives us something to “do” with our minds. When the reality may be that we simply did our best and now all we have is sadness. Many of us don’t like to feel or sit with “sad” so guilt moves in to fill the void. Maybe we can hear beneath those feelings of guilt, recognize their sadness and let them know that sad is ok. By feeling or acknoledging their sad, they can more readily move on from that sadness. I like to say you need to sit with it for a while. Running from it, trying to mask it, may delay the healing process. But as you listen, refrain from offering advice immediately. Let them take the lead in asking for advice. As they feel heard and understood and become comfortable with feeling the sadness, they may take the initiative to then ask you for advice. For some, revisiting memories or thinking of that missing person during holiday festivities is too much to bear. I know of someone who is experiencing that this holiday season. It is hard for me to understand because I personally love revisiting memories, it is comforting for me. But for him, this first holiday season after his loss, it is too soon and too painful. But I can listen to his silence and be with him in that silence – letting him know that I hear him and he is not alone. There are other gifts we can give. Make a meal and drop it by. You might offer to run an errand or to stay with the person for whom they are caring for a bit so they can run errands. But a listening ear is unique and much-needed. I believe this gift will be welcomed with a grateful heart. It would be my personal hope that all frazzled caregivers would experience the deep joy this season represents – the joy of unsurpassed love, forgiveness and promise from our Father in Heaven. Some may have known that joy, but it is buried beneath their current sorrow. Some may choose to never pursue that source of joy. But whether or not that is the case, this holiday season, I just want you to know, I hear you. This entry was posted in caregiving, dementia, grief, holiday stress, life challenges, parents, sandwichcaring, Uncategorized and tagged aging, aging parents, baby boomers, caregiving, dementia, grief on December 7, 2017 by janestory. I, too, am grieving. So, I recently read Didion’s book The Year of Magical Thinking, written about the year after her husband’s sudden death. Then I dove in to Blue Nights. Next, I will most likely revisit C. S. Lewis’s, A Grief Observed. That’s one of the things one does when grieving – you read about grieving. And those things written about grieving are often written by those who are grieving. Back to the subject of memories. Memories are important to me. I was the recipient of many family heirlooms over the years which hold special memories for me. I feel blessed to have had a large family including wonderful grandparents and many aunts and uncles with whom I was close. My special possessions include: Aunt Maxine’s uncomfortable arm chair; Granny Thomas’s sofa which I have had recovered three times (and the last time it had to practically be rebuilt – but I spent the money to rebuild it because it was so sentimental to me); Uncle Carl and Aunt Dorothy’s photo albums and WWII memorabilia (they had no children. );a quilt from my Aunt Bea; the dresser that was my father’s when he was young man; and my sweatshirt and hat from Girl’s State my junior year in high school. And, of course, I have boxes of my children’s photos under the guest room bed; their preschool drawings carefully folded in a large manila envelope; baby clothes wrapped in tissue paper and stored in a trunk – you get my point. In addition, for more than a decade, I worked for the Alzheimer’s Association and my work revolved around the premise that memories are precious and the loss of memories a tragedy. Nevertheless, I understand Joan’s point. You see in these weeks after my mother’s death I find myself waking at 3:00 a.m. thinking of that last week of her life. I go over every detail of the week and the days just after. I recall the phone call informing me of the incident that began the final trajectory of her life. I remember the recognition in her eyes when I told her she was very ill and we were not going to be able to make her better. I go over the last few days when she did not awaken and we sat by her side listening to her breathing and wondering when she would breathe her last. And I recall the service: who attended; who did not; the flowers; leaving her for the last time. And part of me wants to NOT recall those details – at least not every single morning at 3:00 a.m. I find myself recalling a particular Christmas sometime in the late 80’s and a quick conversation with my mother. I remember it was just past noon and I was playing with our recent purchase, a video camera. I was filming the beautifully set holiday dining table and the kids playing with their new toys. My mother was in my kitchen assisting with preparations for Christmas dinner. She reminded me it was about time to mash the potatoes and I tersely commented that the potatoes could wait! And I feel sad and ashamed that I answered my mother in such a hateful manner. I haven’t reviewed the video- I didn’t dig it out of the box it is stored in and play it again. The memory simply popped in to my head the other day – a video in my mind – along with my profound regret at having spoken to her in such a way, over a simple comment about mashing potatoes. After I go over the last days of her life at 3:00 a.m., I move on to the last few years. I recall moving Mother from her home to assisted living. I recall my agony even though my siblings and I discussed the options at great length and realized it was the correct decision. I also recall how much my mother missed that home and her church and her neighbors. I recall every illness, every fall, each trip to the E.R., and every hospital stay. I recall every milestone that marked her increasing frailty. I have to dig deep and really force myself to recall the good times. Memories like Mother’s first trip to New York City with my sister and me. I recall her delight in buying a hot dog on the street, her excitement when she purchased a Christmas sweater at Saks Fifth Avenue, the expression on her face as she watched a Broadway musical. I remember her joy at having special alone time with her grandchildren when she kept them while we were out of town. She loved telling of their exploits while Grandma was in charge. The mind is a strange and wondrous thing – but it is a muddled mess when one is grieving. Didion says when a parent dies something deep inside us is dislodged. She also says it is normal to feel raw, fragile and unstable. In these weeks since my mother’s death, so many things are difficult. I have a hard time in social situations – I have to force cheerfulness and conversation. Sleep is difficult – I wake frequently and have strange dreams. Chores are looming and I can’t seem to summon the energy to get them done. Thus, it seems logical that it would also be difficult to recall the good times, and to focus on the happy memories, during this raw, fragile and slightly unstable time. I so hope Joan found comfort in her memories as time passed. I, for one, am glad I have them, like a gift, waiting to open them when the time is right, when my emotions are not so tender, when my heart is not so sore. This entry was posted in caregiving, dementia, grief, life challenges, parents, planning for the future, sandwichcaring and tagged aging, aging parents, baby boomers, caregiving, dementia, grief on November 3, 2016 by janestory. I wondered what it would be like. Would I be enormously relieved? Would I be sad? Would I cry? Would I feel guilty, worry that I hadn’t done enough or could have done better? Would I wonder what I was supposed to do next after so many years of focusing on her well-being? Would I continue to automatically turn my car toward her nursing home? Would I, without thinking, look for her favorite but hard to find cookies in the grocery aisle? Would I still wake up at 3:00 a.m. to worry about her or her latest illness, or challenge? Would I feel grief? The answer is yes – to all the above. I have written about grief before. My brother passed away suddenly and way too soon. Grief can hit you like a hurricane. Or it may grab you by the ankles at unexpected times and in subtle ways. My brother’s death set me reeling and I am still not quite on steady ground with his leaving. But many times as I watched my mother endure her slow decline, I wondered if it was time. I wondered how much longer I would have to watch, to worry, to be so incredibly tired. I was on an emotional see-saw wanting her suffering to be over while wanting to help her still find joy and experience some sense of purpose. I felt tremendous guilt at having some of those thoughts and feelings. Those of us who are caregivers have been grieving for a long while. We have been grieving all along the journey. And we worry – that we are not doing enough or doing it good enough. 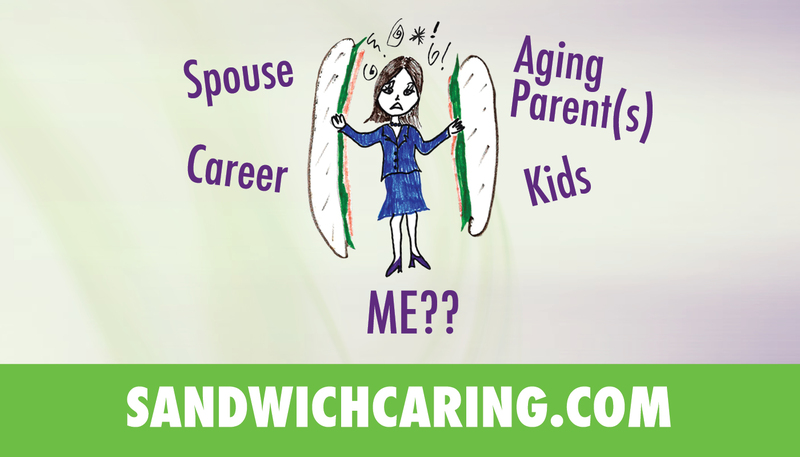 Sometimes we are sick and tired of caregiving. So, I suppose it is normal to wonder if we will also grieve when that journey is over. I felt grief when I had to take over her checkbook. The woman who had been a whiz at bookkeeping, balanced her checkbook to the last penny, and shamed me for not doing so, now put the stamps on after I wrote the checks for her bills. I felt grief when the woman who was known for her fashion sense put on earrings that didn’t match her outfit. I felt grief when she longed for her house and asked me to take her back there. I felt grief when the tall woman with the rim rod straight posture became stooped and twisted. Sometimes we were Frick and Frack, sometimes yin and yang, Lucy and Ethel, and sometimes we were oil and water. She could drive me up the wall. I often did not meet her expectations. Sometimes she was my pal. Sometimes she was my sounding board, my benefactor, my counselor and advisor, my shopping companion and recipe sharer. Sometimes she took care of me. The world wants me back. Meetings occur, events happen. I see folks out and about who say, “Hey, how are you?” and they expect the standard “I’m fine.” answer. I am not accusing or blaming – it’s just the way it is. It’s been a month. The night after my mother died there was a lovely harvest moon. As my sister and I gazed up at it that night, I commented that Mom was in Heaven, shining down on us. This weekend was the next full moon. As I gazed at it alone, I sent her a little wave and a wink. This entry was posted in caregiving, dementia, life challenges, parents, planning for the future, sandwichcaring, Uncategorized and tagged aging, aging parents, baby boomers, caregiving, grief on October 16, 2016 by janestory. Some decisions are easy – Dad broke his shoulder and the orthopedic surgeon explains that he cannot fix the break – so you help Dad heal and accept that his shoulder will not function as it did before. Mom cannot swallow. You know all the downsides to a feeding tube, so if asked the answer is no. Other situations are not so clear. Laura said to me, “I feel like I am contemplating killing my father.” No, she did not mean she was considering shooting him, or giving him an overdose of medication, or pushing him in his wheelchair over a cliff. Dr. Atul Guwande in his book Being Mortal, points out something interesting and, obvious, once you think about it. It seems that we have come so far with medical care and interventions that there is rarely nothing more we can do. It used to be that illness usually struck with very little warning and then you survived it or you did not. Now with all the interventions and treatments, how can we be sure about when to stop? Sometimes it is quite clear. However, in many situations it is not so clear. And there lay Laura’s quandary. Often, I believe the caregiver has such a difficult time letting go because we are reacting to or trying to prevent guilt. Our pesky emotions or our fear of certain emotions muddy the waters. We worry that we will feel guilty that we gave up too soon. We worry that later we will regret not trying harder or continuing longer. We worry that we are not sure what Mom or Dad wants especially when whatever illness or condition they have limits their ability to tell us out right. Living wills and the Post, Polst, or Molst form can give us some guidance. Those written directives can clearly state, “I never want a feeding tube.” But who puts on such a form “Don’t try to make my bowels move when they don’t want to move.”? In fact, guilt permeates the letting go process. You see, if you have been a caregiver for a while, you have experienced your moments of frustration, of being sick and tired of it all. You have had the thought “Isn’t it time for you to die?” or “How much longer is this going to go on?” or some version of such. You are not mean, or cruel, or uncaring, you are simply tired. This kind of on- going emotional stress causes what we call “burnout” in the corporate world. In the medical world the term “compassion fatigue” is sometimes used. Now, as you contemplate that this might really be the end, you recall those thoughts and you feel guilty. Maybe so guilty you are unable to make the decisions you need to make. So back to the original question, how do we know when it is time to let go? How do we then do so? If you have involved a palliative care or hospice team they can be most helpful. I strongly urge families to involve a palliative care team or hospice care sooner rather than later. NO, that does not mean your loved one is going to die soon. It does not mean you stop doing for your loved one. It does not mean you don’t provide some treatment. It does mean that you have some experts to add to your team who can guide and assist you if your loved one has a life threatening illness. I found that just as I was asking myself if it was time to stop forcing things, the hospice team began that conversation with me. I also think that if you are asking yourself this question, this is an indication that it is time. Guwande suggests that at this time, we should look at not only our fears and hopes, but the fears and hopes of the person for whom we care. What are those greatest fears: fear of pain; fear of guilt; fear of loneliness; the fear of making a wrong decision; the fear of prolonging suffering? And what are the hopes – the hope for quality of life, the hope for no pain, the hope for time to do one more thing; the hope to go in peace? I believe it comes down to the question of quality of life and what specifically our efforts are accomplishing. Are our efforts inflicting undue distress, embarrassment, and suffering? Are we prolonging discomfort , loss of control, and unhappiness? Are our efforts allowing autonomy, providing comfort and relief from pain or distress? A few years ago I heard a speaker on end of life issues use the term A.N.D. It stands for “allow natural death” And it made such perfect sense. Our power has limits. At some point we need to stop fighting what is going to happen anyway – no matter how valiantly we try to keep it at bay. As a caregiver, you have given time and energy to providing the best care you can for someone you love. You may have spent years trying to make things better, diminish pain and keep them safe. It will be a challenge to do less. But as is often said, sometimes less is more. I read somewhere that letting go is not about caring for but caring about. So how do you let go? With love. I wish you strength and wisdom as you move through thesefinal challenges of caregiving. This entry was posted in caregiving, dementia, life challenges, parents, planning for the future, sandwichcaring, Uncategorized and tagged aging parents, baby boomers, caregiving, dementia, health care on September 15, 2016 by janestory. The tension rolled off Sherry in waves as she entered the room. The whole atmosphere changed as she walked in. I was assisting in facilitating a “Careversation” for an organization with which I volunteer. These are hour and a half meetings to share basic information, suggestions, and resources with caregivers. The information shared is fairly generic and I was on hand to offer some more detailed specifics and guidance should it be needed. I asked Sherry what brought her to our gathering. “My mother lives in an assisted living and…” and she was off. The words tumbled out in breathless succession, very staccato, almost like bullets. It was as though she had been holding them in for quite a while. After a bit, I put my hand on her knee and said, “It’s ok, we have plenty of time. Take a breath and relax a little. Would you like something to drink?” I got her a cold drink before we continued. Sherry was in her mid-fifties. She shared that her mother was 86 and had a condition that now rendered her wheel chair bound. Cognitively, it sounded like her mother was fine. But it was evident she was extremely demanding. “I had a very special bond with my father”, she said. “ We were best buddies. We just had this incredible rapport. It was wonderful. And I promised him as he was dying, that I would take care of Mother.” And she launched into a frantic historical account of all that had happened with her mom and all with which she was dealing. Now, Pecan Hill Place is considered the most prestigious assisted living in the area, but I knew from personal experience that while it is beautifully decorated, the care is no better than Raintree, in which Sherry had placed her Mom. In fact, Raintree is a newer facility and is also beautifully decorated. If décor and atmosphere were the measure, I would say it is entirely equal to Pecan Hill Place. But clearly, as Sherry had shared, there were other factors that were and should have been considered in the decision of where her mom should live. But apparently, prestige was most important to Mom. And of course, all of the details did not really concern me. What I was concerned with was Sherry. Her hands fidgeted as she talked. She was pale and she seemed utterly exhausted. “My daughter and three grandchildren live two streets over from me. I would love to be more involved with the kids. I can’t attend their sporting events often, or do much with them as Mom always needs something. And my daughter was just diagnosed with a severe chronic illness and I am really worried about her. And last night my husband said he was going to divorce me if I didn’t slow down and spend some time focusing on us.” Sherry sat back in her chair with a sigh. And here we have it folks – the issue of boundaries for caregivers. Admittedly, Sherry’s situation is extreme. Her mother sounds like a spoiled diva to me. But nevertheless, the issue is an important one, and is nearly always a challenge for caregivers. We tend to develop this over-the -top sense of responsibility when we become caregivers. We take on the task of not only physical care, but emotional care as well. We think we can do it all, including making that person happy. Sometimes it is exacerbated by some promise we may have made, to the person for whom we care, (“I promise I will never put you in a nursing home, Mom, “) or to someone else as Sherry had to her dad. Yes, I realize that our presence, or bringing Dad his favorite dessert, or taking Mom on an outing, can certainly contribute to the happiness of the person for whom we care. But we, as the care-giver, simply cannot provide for all the needs of another person. It is not possible. Yet, many of us try. And it is usually to our own detriment. Hence, all the statistics out there about caregiver health declining or even dying before the person for whom they care. To me, it truly is about survival, OUR survival. And Sherry was the extreme example. Don’t get me wrong, I, too, am guilty of that which I see in other caregivers. I fret over every detail of Mom’s care. I bring her favorite snacks. I have decorated her room in her favorite colors. I place her favorite photos so that they are in her line of vision. I hire private caregivers to spend time with her during each day – to not only provide her with some conversation and social stimulation, but to assist with her care in the nursing home where she currently resides. I feel guilty that she is in a nursing home, yet given her care needs, it is the best place for her to be. I worry about her happiness, yet my Mother was always a somewhat negative person. She usually saw the glass as half empty. So why should I presume I could make her happy now? I have a difficult time truly relaxing when I am away. On vacation, I worry constantly. And here is the thing – my mother has a serious condition that has no cure. She is and will continue to slowly decline. There is absolutely nothing I can do to stop it. And at this point in her illness, sometimes I struggle with the guilt that the care we have given her is actually prolonging the inevitable. Is it possible that we provide too much care? That is probably a question for further thought and discussion. For now, however, it is important to talk about boundaries. We need them, and set them in other aspects of our lives. I think it is critical that we do so when it comes to our being caregivers. Sherry told me that she was actually on her way out the door with her husband for a date night when her mom called about being out of Tylenol. Sherry said her husband was furious that they “had” to take a detour to the drug store and then to the assisted living to deliver their purchase. I suggested gently to Sherry that Tylenol wasn’t a life sustaining drug. And that more than likely, the assisted living would have it on hand. I also advised Sherry to listen to her dad and what I called his “other voice”. Sherry looked almost shocked. “I never thought of that,” she said. We have heard the analogy a thousand times, if you are on the airplane and the oxygen masks drop, it is important that you put on yours first, before you help the child or someone else who is with you. I roll my eyes each time I hear that analogy. But I should not. In fact, I think that setting boundaries is a lot like that oxygen mask. Setting boundaries will help you survive so that you continue your role as caregiver as long as you are needed. Coach Frank Broyles, the winningest coach in college football, took care of his wife with Alzheimer’s. He has written a guide for caregivers in cooperation with the Alzheimer’s Association called Coach Broyles Playbook for Caregivers. One of his key points is that in football, it is crucial to protect the quarterback – that person leading the team. I can only hope Sherry will set boundaries. I will continue to try. I hope you will too. Hang in there, Sandwiches. We have miles to go before we sleep. This entry was posted in caregiving, dementia, life challenges, parents, planning for the future, sandwichcaring, Uncategorized on August 30, 2016 by janestory. My heart is heavy. I am unspeakably sad. There has been no “event” that touched me directly. There have been storms and rain, and floods. Some have lost so much, but I have not. Yet, I am sad – for them. The world is a place of hate and turmoil now. Senseless killings, by evil people – some not so evil but simply ignorant – but killings, nonetheless. And I am sad. There is little decorum now. Mores, rules, traditions seem to be lost. Casual and careless, are the norm. Children are disrespectful, demanding, preoccupied with devices, not busy with imagination. Innocence and purity are rare. We know too much, yet we know so little. Private matters are not private. It makes me sad. Leaders do not lead. So many do not stand for what is noble or honorable – so many are crude, blustering, bullying, dishonest, and hateful- equally on one side or the other. It makes me sad. I watch as women I love slowly, slowly fade. I see friendships separated by miles and infirmity. So many are ravaged by age and a disease that robs them of memories – of themselves. I watch as millions of dollars are flashed at one who can throw a ball. Yet this disease could be cured wtih more funding. I watch as someone who was once strong and alive, struggles to be herself, but the body and mind become stiff and twisted and blurry – so that who she really is, or was, seems so often to be out of reach. It makes me sad. I struggle with the loss of strong, loving, people who gave my life color and history and a sense of being part of something solid and good. I struggle with missing someone who left me quickly. I wrestle with guilt at thinking there would be more time so I lost precious time and sharing. I fight the guilt that I should reach out to others who loved him but I lose that fight. I cannot face them yet. I have no comfort to give them right now. It makes me sad. I am blessed. I still have others to love and who love me. I have young lives and warm wiggly bodies to hug, to watch in their childish glees as they experience the joy of ponies and dump trucks and ice cream. I should look forward with light, not wallow in dark. And I will try. I will pray. I will push on. But, this day, I am unspeakably sad. This entry was posted in caregiving, dementia, life challenges, parents, planning for the future, sandwichcaring, Uncategorized and tagged aging, aging parents, baby boomers, caregiving, dementia on July 11, 2016 by janestory.